SEO best practices seem to be changing everyday. With new Google algorithms being released on a regular basis, it is hard for marketers to keep up. It is especially hard for those small to mid-size business marketers who are tasked with all things marketing related. Just when you think you have a strategy in place that will yield results, an algorithm change is announced. One of the basic parts of SEO is keyword strategy. Keyword strategy has changed dramatically over the last several years. Gone are the days of “keyword stuffing” to get your page ranked higher in search engine results. Today’s strategy is much more human. Here are 3 ways to help you build your inbound marketing keyword strategy in 2015. Buyer personas, buyer personas, buyer personas…we sure talk about them a lot at Imagine, don’t we? Well, understanding your buyer personas is critical to the success of any inbound program. In the case of keywords, if you know how your personas search for your products or services, you will know what words should be part of your keyword strategy. At Imagine, we know that our persona, Morgan Marketing is tasked with lead generation. We also know that she/he relies on Google/internet searches when she/he is looking for an answer to a question or a solution to a problem. Without using any keyword generation types of tools, we know that there is a strong possibility that our persona will search for topics related to lead generation. We can make the assumption that we should include lead generation (and similar phrases) on our list of keywords to consider. My example is simplistic but demonstrates the general idea of the thought process. At Imagine, we also consider the buyer’s journey and what questions our personas ask along the way. This is information is also very valuable when creating your keyword strategy. Remember, buyer personas are a work in progress. They are never really complete. They should be tweaked as you learn more about your personas. As you make changes, you may also need to consider adjusting other things – like your keyword strategy – to reflect what you’ve learned. In addition to applying what you know about your buyer personas, there are several tools available to help you identify potential keywords. One of the more widely used is Google AdWords Keyword Planner Tool. This free tool allows you to type in words or phrases that relate to your products or services and find out the number of monthly searches and the competition for this term (taking into account the number of people attempting to rank for this keyword). At Imagine, we would enter a keyword like sales or sales growth into the tool. What we’d find relatively quickly is that we would have a very hard time ranking for such general terms. We’d be much better off using long-tail keywords. There are tools that can help you find long-tail keywords too, including Google. Try typing a keyword directly into the search bar and see what is auto-generated before you click search. You’d be surprised at how many combinations appear. Another tool to try is KeywordTool.io. This is another free tool that is very easy to use. 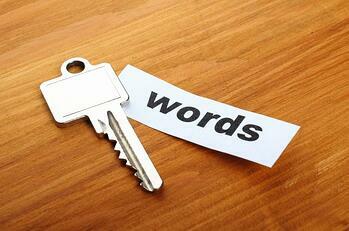 Just type in one of your keywords and get up to 750 words and phrases to consider. Übersuggest is another option to try. Enter a keyword phrase and this site will provide you with additional long-tail variations that have been used in prior searches. Once you’ve completed your research, use Excel or another spreadsheet tool to analyze your options. Some of the suggestions you receive from these tools will obviously not work for you. Others will be more appropriate. Keep your final list to around 30 phrases. Today, search engines are looking for content that is valuable to the searcher. It analyzes content in different ways to make that determination. One of the ways is through on-page SEO. On-page SEO is the way your web page is designed to be found for a particular keyword. If the search engines understand that your page is relevant to a particular topic, the page has a better chance of ranking. Optimize each web page for only one keyword. Include the keyword in the page title, the page URL, the page’s headline, and thoughtfully throughout the body copy. Include the keyword in the meta description for that page. Change the ALT text for your images to include the keyword. Avoid keyword stuffing. Your audience/buyer personas comes first…write for them. The search engines will also love your content if they do. Keyword strategy is important. Invest time into creating yours. You’ll be happy you did.